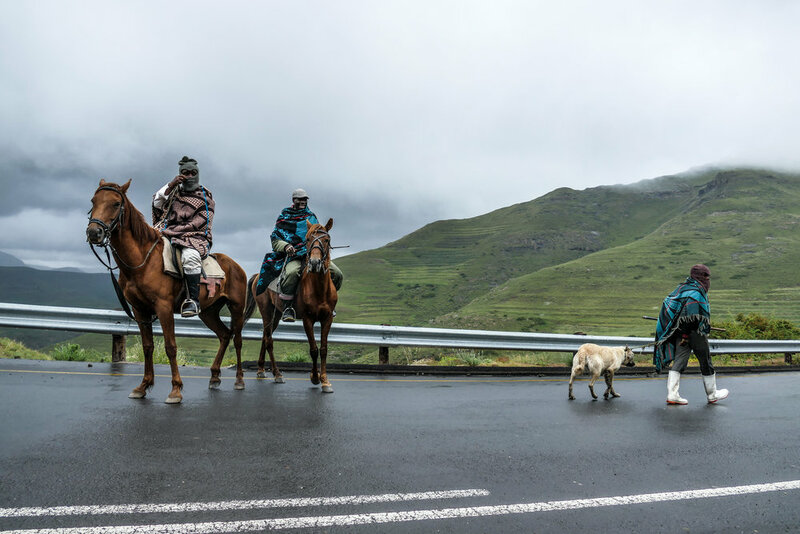 Landscapes, Dwellings, Animals, and Local People in the Mountain Kingdom of Lesotho. Lesotho is the country, Basotho are the people, and Sesotho is the language. People live mostly 'Western' lives in the major city, Maseru. 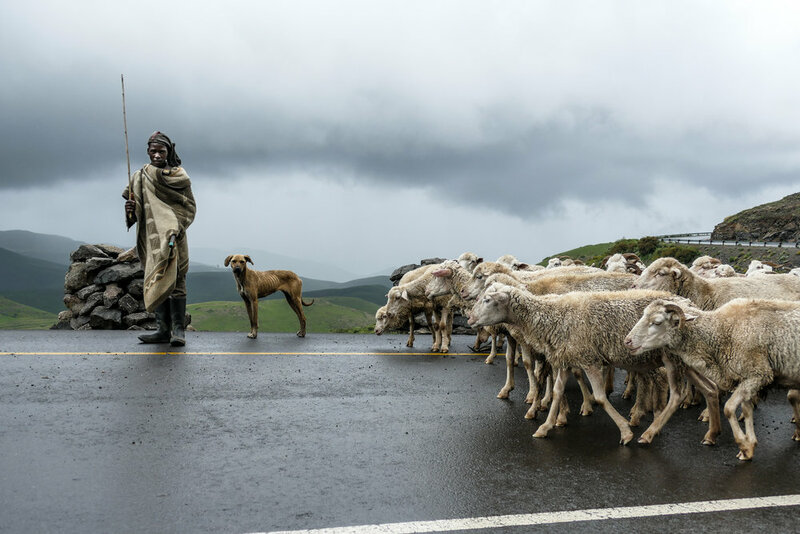 This road trip and collection of images explores only rural life in Lesotho. Learn more about Basotho culture, blankets, and how you can be a part of this beautiful country's journey at the bottom of this page. Adrienne McDermott at Maletsunyane Falls in Semonkong, Lesotho wearing a traditional Kharetsa (Spiral Aloe) pattern Basotho Blanket. Learn about purchasing a blanket at the end of this story.